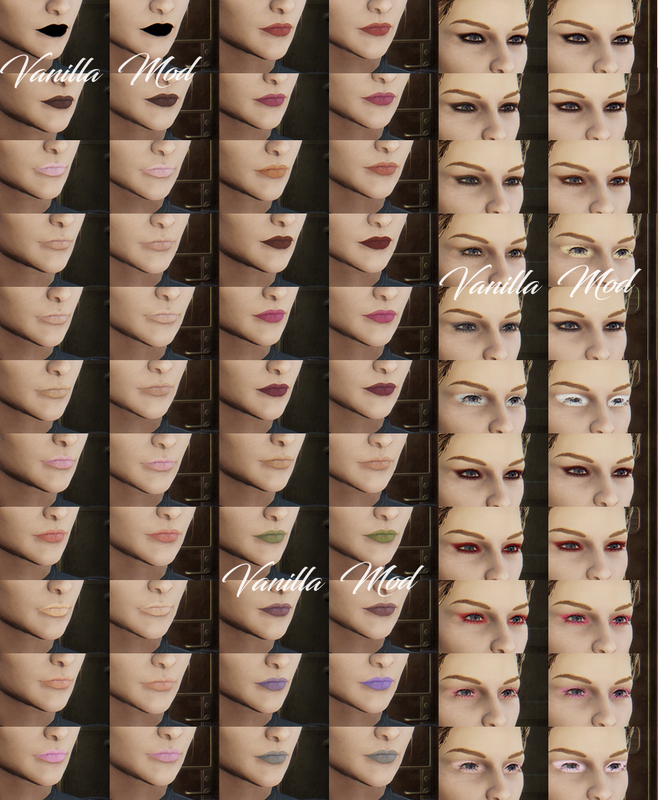 Overhauls the color options for makeup. 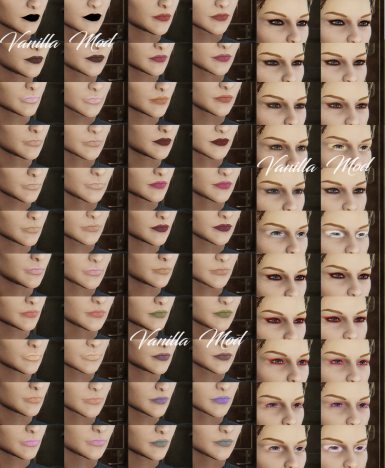 An overhaul of the color options for characters' makeup. 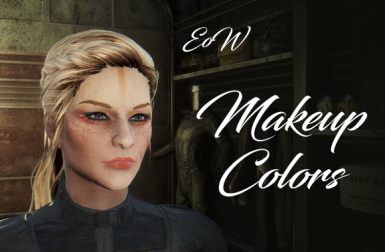 This mod does not conflict with mods that modify the human race, such as LooksMenu Customization Compendium, or mods that change the hair colors, such as WX Hair Colors, they are fully compatible! 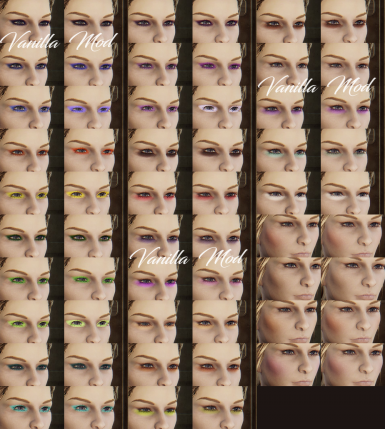 Some of the changes are subtle, or even invisible in certain lights or on certain skin tones; others are more drastic. 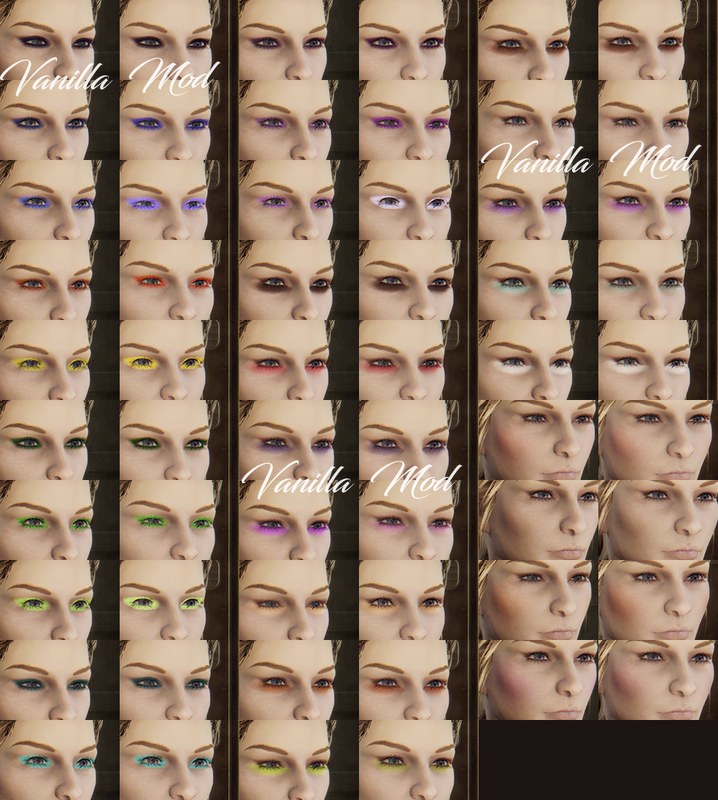 Overall, I tried to keep the general scheme of the vanilla options, while adding some lighter colors for highlights. 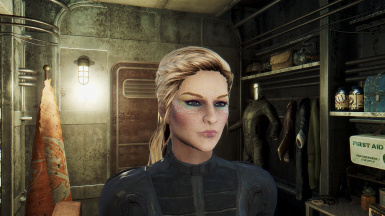 See the charts below for details.